Dimensions of things add flavor to life. There are various dimensions to looking at things like 2 dimensions and 3 dimensions. Looking at alphabets they have been created in a 3D manner is highly astounding. 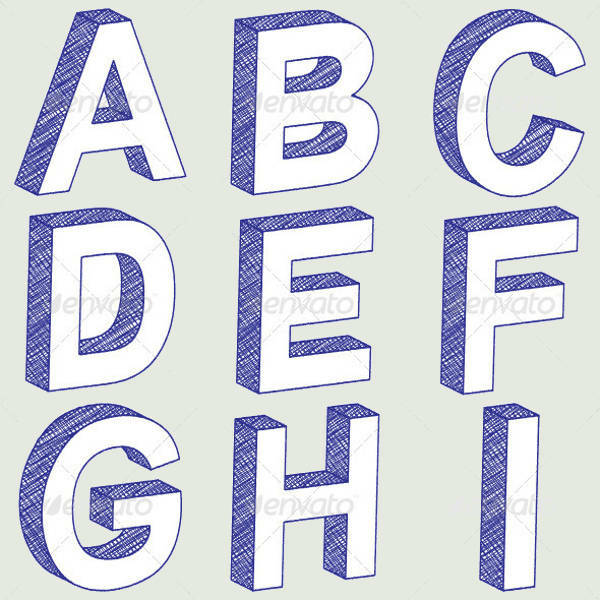 Free alphabet letters are available for the users to make use of multiple uses they deem fit. Best 3D Letters can be used for branding and kids school related activities. 3D metal letters with explosions displays alphabets created in a metallic finish that blasts in a colorful manner. 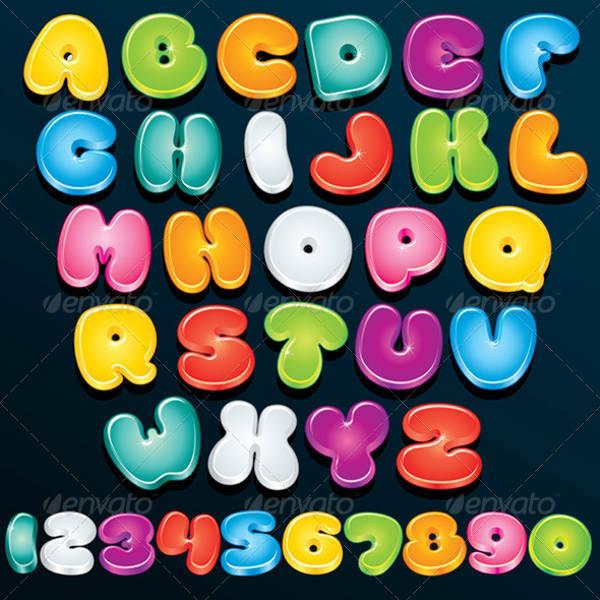 These letters can be used for school and college project. You may also see Graffiti Letters. 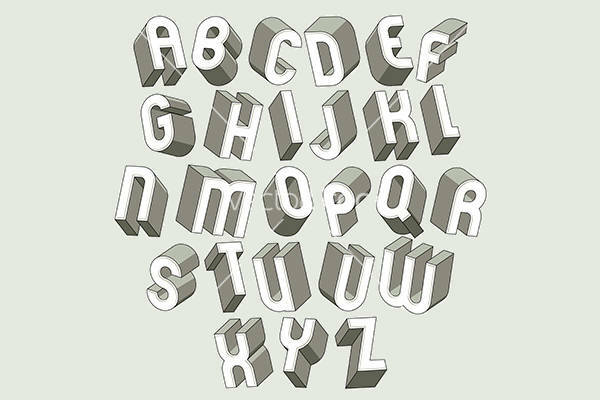 3D Vector Alphabet Letters looks highly glyph in a matte finish. They look highly isolated by looks and the final typescript makes it usable for many purposes that are personal by nature. You may also see Bubble Letters. 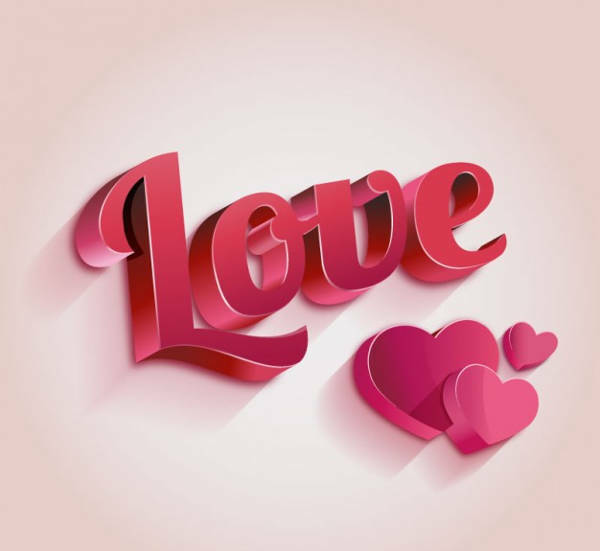 3D Letters Free Vector has been created in an elegant manner using light gray color. These alphabets are available for free of cost for the users who wants to use the same. You may also see Free Alphabet Letter Designs. 3D Multi-colored Letters have been designed in a comical and colorful manner. 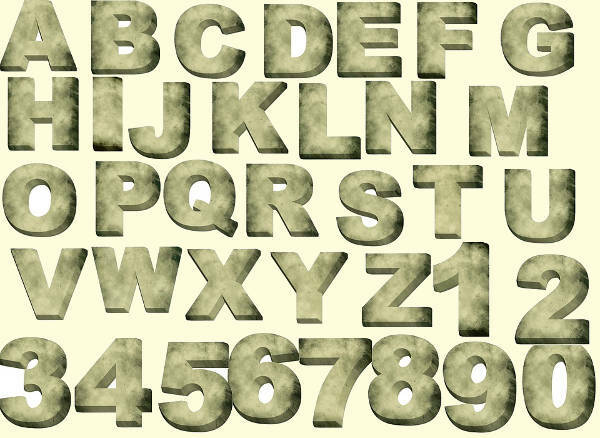 These alphabets can be used in Kinder Garden projects and to decorate school walls in an elegant manner. 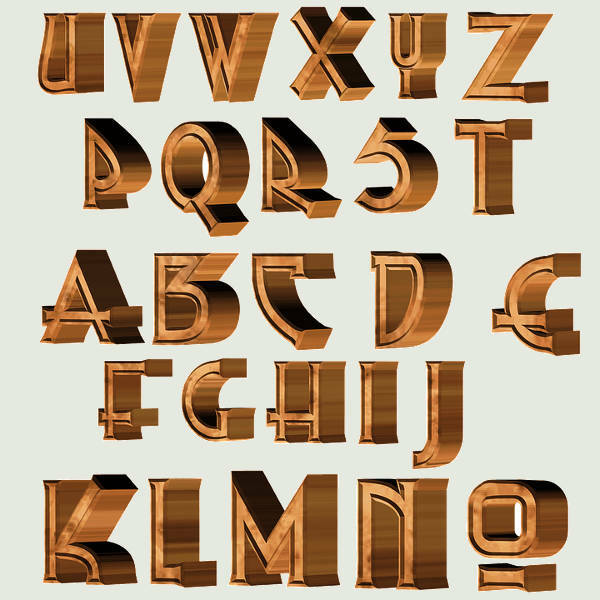 3D Decorative Letter is a set of alphabets that have been created in an artistic manner. 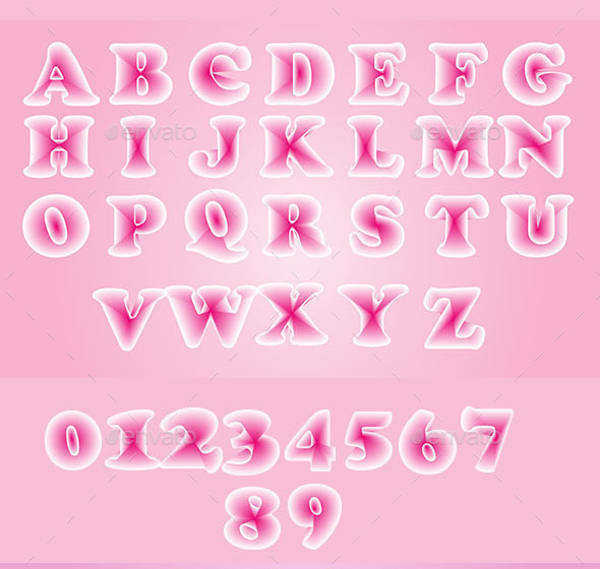 These alphabets can be used for decorative purposes in documents and advertisements. 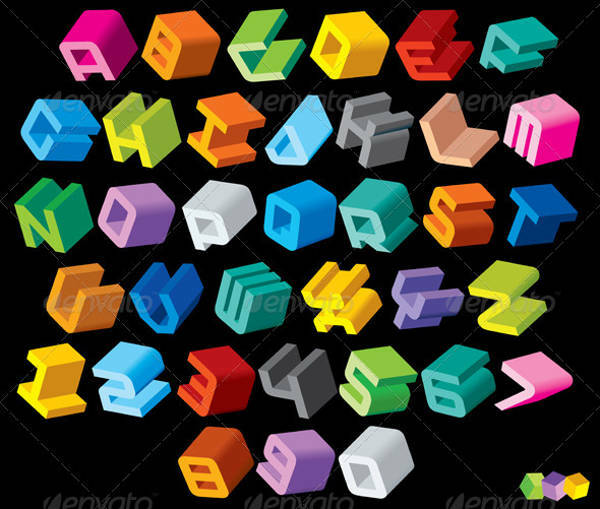 3D Isometric Alphabet Letter is highly geometric and isometric in nature. 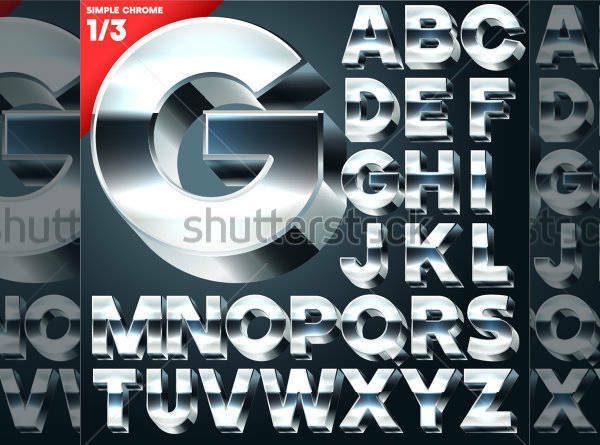 This design letter makes it highly appealing and can be used for advertisement sign boards and related activities. 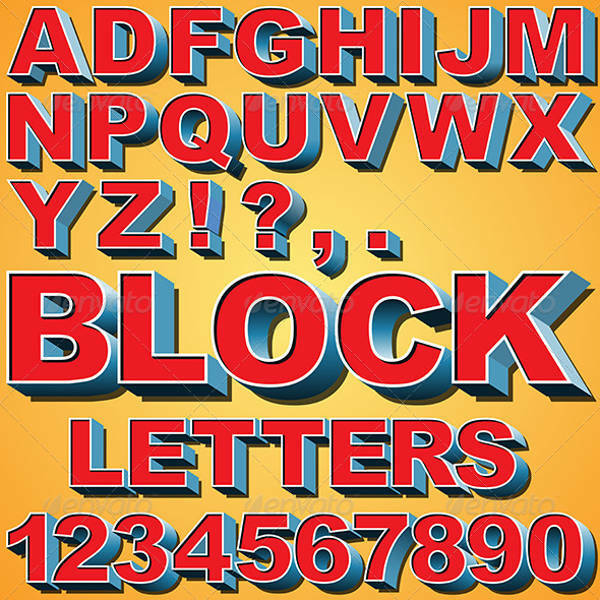 3D Block Letters is a highly appealing set of alphabets that are created in a three-dimensional manner. The external border given in a different color with a bright shade inside makes it attractive. 3D Folded paper Letters have been created using a creative technique of rendering the folding effect to the alphabets. These folded letters look highly attractive giving them a unique look. 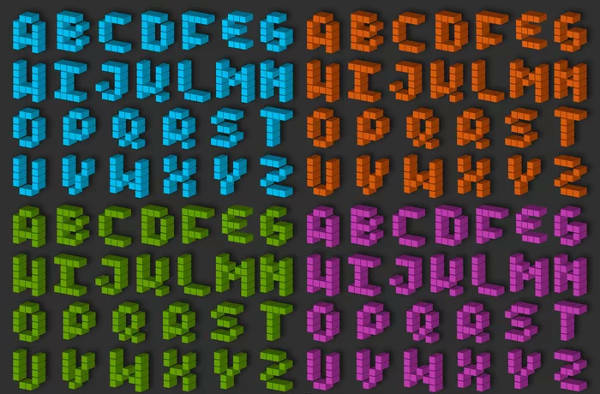 3D Pixel Alphabet Set displays complete set of alphabets in a pixilated manner. 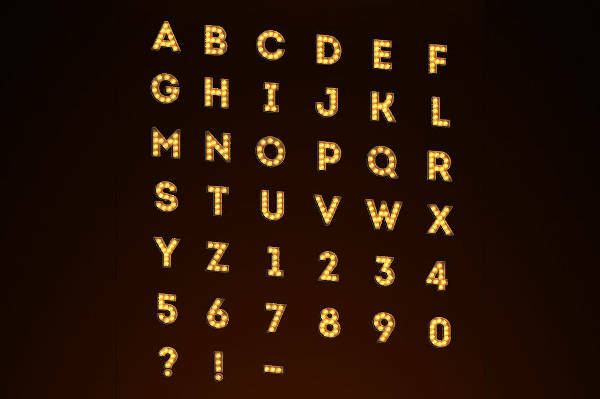 This pixel alphabets can be used for computer and other related projects in an emphatic manner. 3D Simple Letters is just a display of alphabets that are created in a simple and attractive manner. The font used to create these alphabets is Sans Bold and this can be used for commercial purposes. 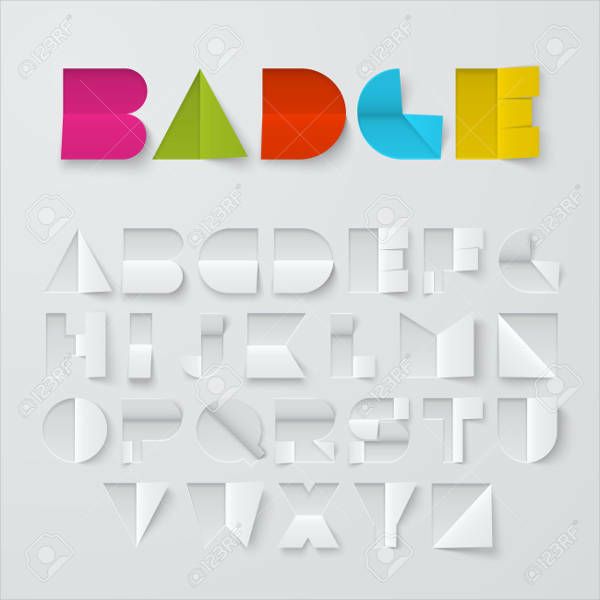 Bold and heavy 3D letters set contains alphabet letters in different shapes in 3D style. These bold and heavy alphabets can be used for commercial as well as personal purposes. 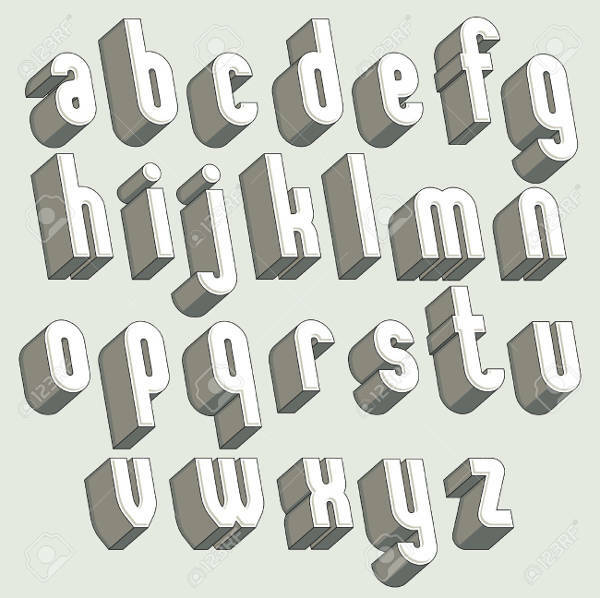 3D Soft Alphabet Letters Style displays alphabets in a very soft style. The 3D effect rendered to the set of alphabets makes it highly appealing and attractive to use for all purposes. 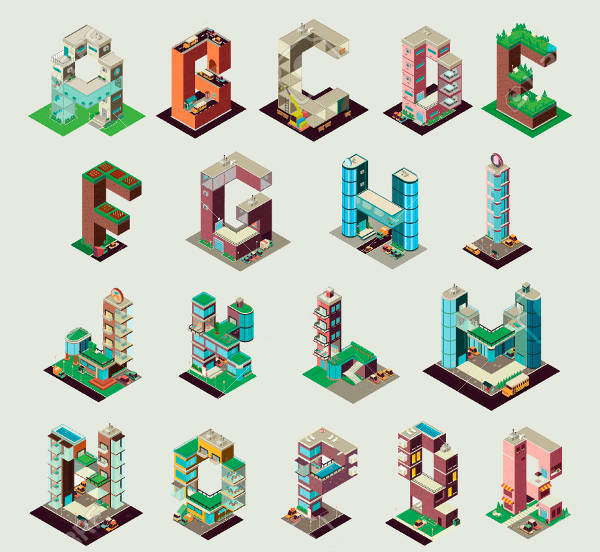 3D Building Letters have been created in building styles. These alphabets can be used by Real Estate agents and companies for creating brochures and presentations to customers about their projects. 3D Cartoon Letter looks highly cartoonist in nature. These are highly colorful and can be used for kid’s projects in schools and kinder garden spaces to teach children alphabets. 3D Stone Alphabet letters displays alphabets that have a stone finish. 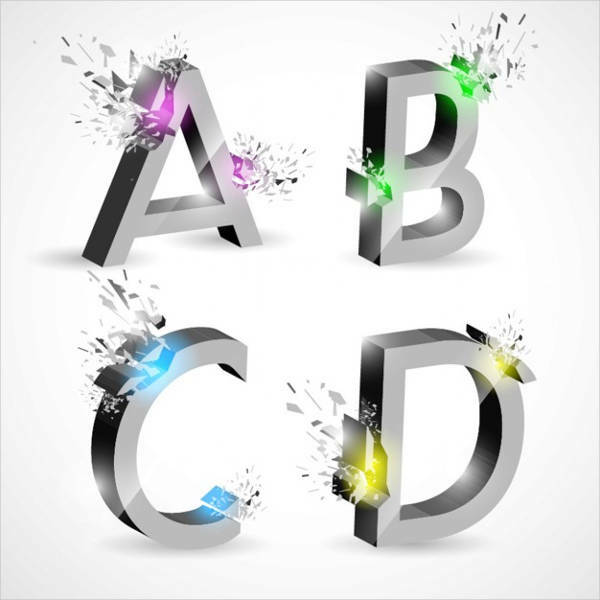 These alphabets can be used for commercial purposes in PowerPoint presentations and other types of projects in school. How to use these “3D Letters”? 3D Letters have been created in an excellent manner to cater to the needs of various types of customers. These letters can be used for multiple purposes that encompass both formal and informal purposes. 3D Letters can be used in kinder garden schools to be stuck on walls as well as to do projects for them. 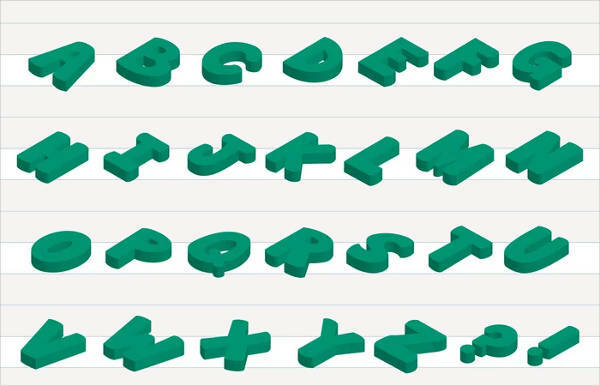 3D Letters can also be used to teach alphabets to young kids in primary classes. 3D Letters can be used by the advertisement industry for displaying banners and sign boards about the various brands and their product and service offerings in an attractive manner. Users who are highly creative and want to create things in an innovative manner can make the best use of 3D Letters. These alphabets cater many innovative uses that any creative user may think of. 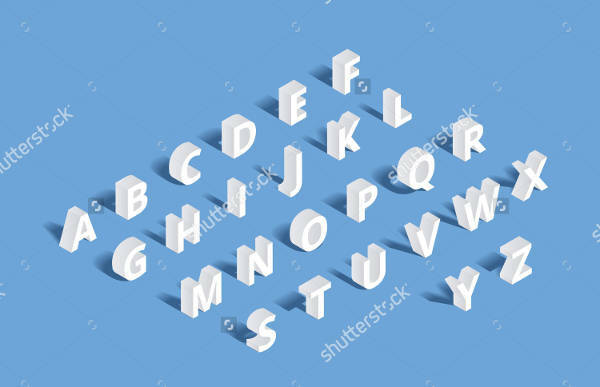 Many of these 3D Alphabet sets are available for free download and use by the users.